Special Collections and Archives is the first stop for any student, faculty, public patron, or visiting researcher wishing to learn more about the region of southern Texas and northeastern Mexico. 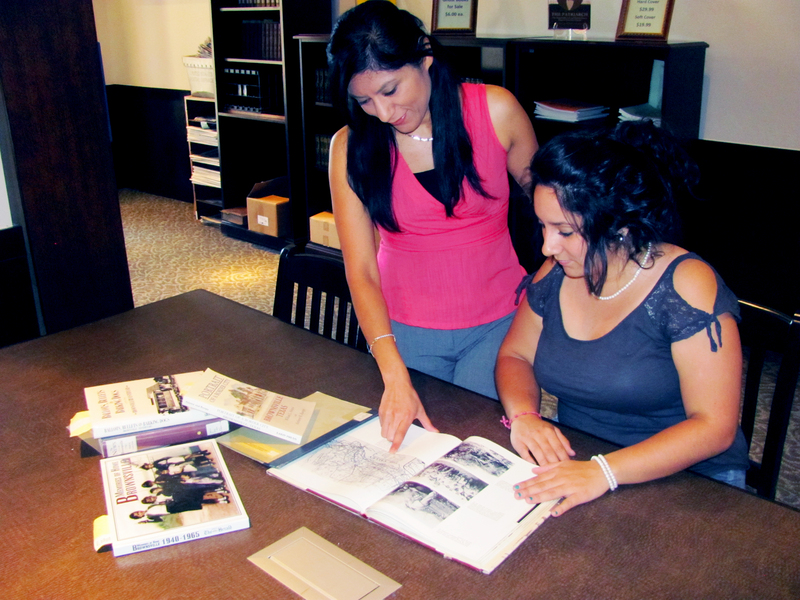 Our collections include books, periodicals, maps, oral histories, and archival materials concerning the Lower Rio Grande Valley, the broader southern Texas and Mexico Rio Grande border region, Mexican American culture and identity, and the Mexican War. The Libraries on the Edinburg and Brownsville campuses both hold unique collections relating to southern Texas and northeastern Mexico and the broader border region. See below for more information about each campus location, or send e-mail to "archives@utrgv.edu" for more assistance. Contact us in advance: Let us know when you are coming, and what your research interests are. We will be able to ensure that the appropriate materials are ready for your visit. This will allow you to use your time wisely when you are here, and may prevent you from making an unnecessary trip. Parking: If you are not associated with the University, you will need a visitor's permit to park on campus. Contact Parking Services to arrange for a visitor's permit. Copies: bring a camera, nothing leaves the room to be photocopied or scanned. Items allowed in the reading room: paper, pencils (no pens), laptops and tablets (no cases), cameras / cell phone for taking pictures. All other items must be put in a locker for the duration of your visit.